We choose HomeAgain microchips which have the Bio-Bond patented anti-migration feature to help ensure that the microchip will stay in place so that it may be easily located and scanned. We know life gets busy and things get forgotten, so our staff takes the time to register your microchip for you to ensure that your pet truly benefits from being microchipped. 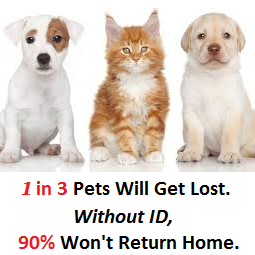 Afterall, there is no benefit to microchipping a pet if the microchip is not registered in the National database! This one-time registration process is included in our microchipping fee. However, It is important to remember to update your registration if your address or contact numbers change! HomeAgain offers additional benefits and services to Pet Parents who sign up for annual membership. HomeAgain membership is optional. Your pet will always be in the pet registry despite your decision regarding annual membership.